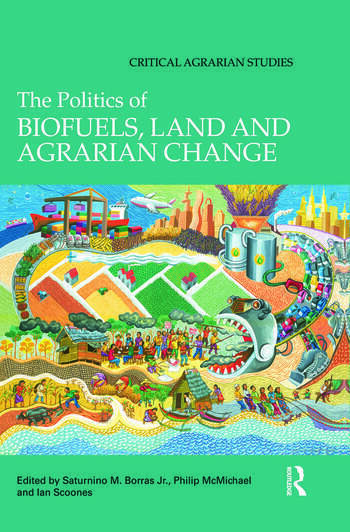 This book addresses key questions on biofuels within agrarian political economy, political sociology and political ecology. Contributions are based on fresh empirical materials from different parts of the world. The book starts with four key questions in agrarian political economy: Who owns what? Who does what? Who gets what? And what do they do with the surplus wealth? It also addresses the emergent social and political relations in the biofuel complex and, given the impacts on natural resources and sustainability, engages with questions about people-environment interactions. At the same time, the book is concerned with the politics of representation, that is, what are the discursive frames through which biofuels are promoted and/or opposed? The book analyses the institutional structures, and cultures of energy consumption on which a biofuels complex depends, and the alternative political and ecological visions emerging that call the biofuels complex into question. Across sixteen chapters presenting material from five regions across the North-South divide and focusing on fourteen countries including Brazil, Indonesia, India, USA and Germany, these topics are addressed within the following themes: global (re)configurations; agro-ecological visions; conflicts, resistances and diverse outcomes; state, capital and society relations; mobilising opposition, creating alternatives; and change and continuity. Saturnino M. Borras Jr. is Canada Research Chair in International Development Studies at Saint Mary’s University, Canada, an Adjunct Professor at China Agricultural University, Beijing, and a Fellow of the Amsterdam-based Transnational Institute (TNI) and California-based Food First. He is joining the International Institute of Social Studies (ISS) in The Hague, Netherlands in January 2011. Philip McMichael is a Professor of Development Sociology at Cornell University. His research focuses on food regimes, agrarian movements, and climate change. Key publications include: New Directions in the Sociology of Global Development (co-edited, 2005), Development and Social Change: A Global Perspective (2008), and Contesting Development: Critical Struggles for Social Change (2010). Ian Scoones is a Professorial Fellow at the Institute of Development Studies, University of Sussex, UK. He has a background in agricultural ecology and his interdisciplinary research links the natural and social sciences and focuses on the relationships between science and technology, local knowledge and livelihoods and the politics of policy processes. He is currently co-director of the ESRC STEPS Centre at Sussex and Joint Convenor of the Future Agricultures Consortium.